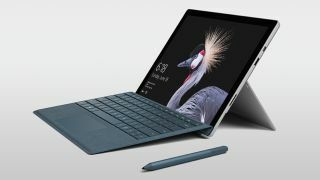 Microsoft’s spin on the Surface Pro with cellular connectivity is now available to buy in the US, Canada and Australia. The Surface Pro LTE was previously only available to business customers, but now anyone can get hold of the variant of the 2-in-1 with mobile broadband tricks up its sleeve. Those in the US can order the Surface Pro LTE – with a Core i5 processor, 8GB RAM, and 256GB storage – from Microsoft’s online store for the price of $1,449 which equates to around £1,065, AU$1,930 (or a discounted $1,304 – around £960, AU$1,740 – if you’re a student or teacher). In the US, the non-LTE version with the same spec retails at a recommended price of $1,299 (around £955, AU$1,730), so you’re paying an extra $150 for cellular connectivity (except for the fact that the non-LTE spin is currently on sale for $1,099 – around £810, AU$1,460 – making for a much bigger difference right now). You’ll have to be pretty keen on having LTE to pay $350 extra for it, of course. Sadly the Surface Pro LTE hasn’t yet graced the shores of the UK, but given the general release in these other major territories, it surely can’t be long before Microsoft brings it to this country. The other point to bear in mind with this LTE model is that there is only one spec available, and there’s no higher-end version with a Core i7 CPU inside. Although that could well arrive at a later stage.